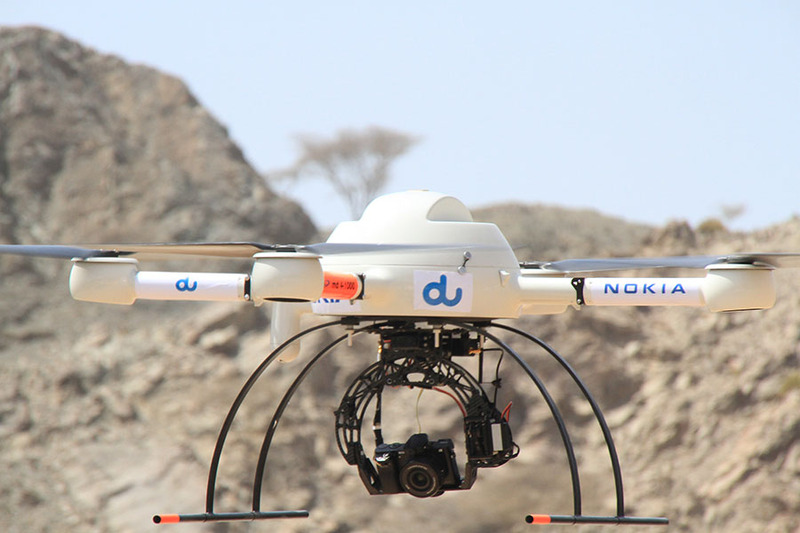 You might have noticed that there is some specific connection between Nokia and drones, or how professionally called unmanned aerial vehicles (UAV). Well, find me one person that doesn’t like drones, which have crazed people with its versatility and capability. Regarding the fact, number of drones is increasing almost exponentially and soon the skies will be full of them, especially areas where drones could endanger our safety. Europe is trying to find a way to better control drones and that is why there is a test area for UAV-based traffic management opened at Twente Airport in the Netherlands. Nokia signed the collaboration agreement to support development and testing of its drone traffic management platform at Twente Airport. Nokia will design and deliver the infrastructure to test and develop the Nokia UAV traffic management (UTM) system and do the real life simulations and commercial demonstrations. Nokia technology is backed up with a combination of expertise ibn LTE and 5G development, but also with Mobile Edge Computing to ensure low-latency and reliability needed for UAV traffic management. Tested drones are equipped with Nokia’s UTM modem (LTE modem, GPS and other sensors) which is combined with Nokia AirFrame platforms so drones can easily monitor airspace and flight paths. Also, Nokia developed Nokia UTM smartphone app that works with UAV traffic management and enables drone operators real-time flight permissions, real-time, no-fly zone information as well as information about local regulatory rules. This means that Nokia UTM platform can be easily adapted to individual regulatory requirements of different countries, potentially providing the possible standardisation of such systems. During an opening day event of Space 53, the test area at Twente Airport, visitors will be able to see a wide range of demonstrations of UAV uses in agriculture, search and rescue, public safety and airport anti-bird protection. Definitely interesting times are ahead of us. Maybe Nokia will really manufacture its own drones with appropriate apps and gadgets :).